Asset management functions are available within a few mouse clicks so you can create new assets and assign them within seconds. The asset reporting feature is also easy to get to and use. Select filters and data columns to render reports, export them to desired file types, then save your report settings for later use. 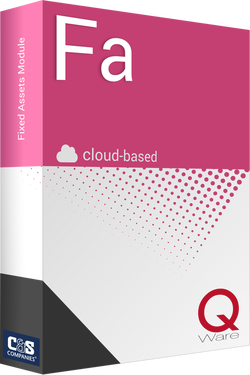 The Q Ware fixed asset management module improves asset accounting, tracking, and maintenance. The software tracks mobile and assignable assets, making it perfect for IT and facilities departments in schools, healthcare, and government organizations. Asset software keeps accountability high and managing life-cycles easy. Why is Q Ware fixed asset management software right for you? 3rd It's customizable - Fixed asset forms and categories can be customized.